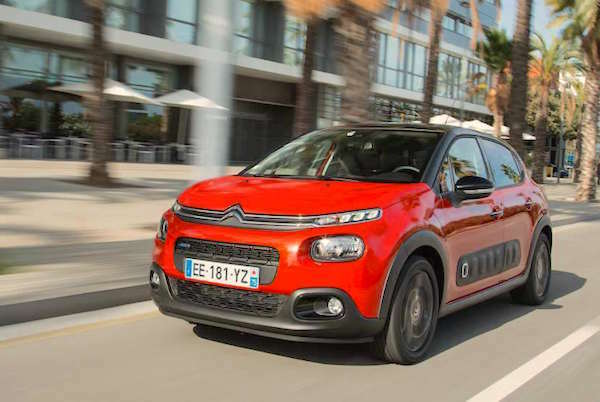 Citroen sales soar 55% year-on-year in Bulgaria in November. New car sales in Bulgaria drop 6% year-on-year in November to 3.542 registrations, meaning the year-to-date volume is now up 13% to 38.444. The top-selling brands all ignore the negative context to post double-digit gains: Dacia (+36%), Renault (+33%), Toyota (+33%) and Skoda (+10%) all shine as do Citroen (+55%) and Ford (+40%) in the remainder of the Top 10. In contrast, Kia (-69%), Nissan (-69%), Mercedes (-30%) and Volkswagen (-13%) all dive. further down, Jeep (+1267%), Mitsubishi (+650%), Infiniti (+153%), Subaru (+86%), Alfa Romeo (+50%), Honda (+41%), Jaguar (+40%), Lexus (+31%) and Land Rover (+19%) all impress but Hyundai (-61%), Audi (-46%), Volvo (-42%), Mini (-36%), Opel (-33%) and Mazda (-32%) freefall. Full November 2018 Top 40 All-brands ranking below.